Deep ruby color; dark fruits, black cherry, blackcurrant on the nose; cherry, blackcurrant, plum, blackberry, oak on the palate. Dry; medium tannin with some balancing acidity; savory flavors; fruit-forward, fruity sweetness; silky in the mouth; 13% ABV. This tastes more like a merlot-dominant blend than a cab play, but label does not reveal the blend, if any. Chulengo Chilean Cabernet Sauvignon is a wine club (Lot18) offering; you must buy three bottles for $50 ($16.67 each), which is reasonable price before the shipping. It is imported by TR Wines, Napa, CA. Lot18 sells a number of other wines both in its wine club and online. Purchases are in lots of three. You can get something as good in the grocery store for about the same price and save on the shipping. Wine clubs from identified wineries are an effective way to access good wines, often at some discount, and at least access to small production efforts. Wine clubs, however, tend to find wineries with excess juice/wine the club can slap a label on and sell as exclusives—grocery stores do the same thing. The tell for this practice is lack of specific information on the label: no url’s for the winery, inability to find material with Google search other than the wine club website. No or few reviews by recognized wine writers. As a wine club member, you will get a surprise package every month—or whatever interval they offer and you accept. In a common six-bottle shipment, there can be one of real value. Maybe. The remainder typically are commodity wines; a step above most boxed wines or mid-shelf wines in supermarkets or lower-shelf wine in wine stores. But don’t expect miraculous finds. The target market for most such ventures are entry-level or slightly better wine drinkers who want convenience and someone to make wine decisions for them. That’s fine. It gets you started on your life’s wine journey. Drink and learn. But, please, branch out and try higher quality—and there are some wine clubs that offer first-label, higher quality wines. Higher quality wines will be fully transparent makers, likely with their own website telling their story, certainly with wine reviews by the wine press. Often will have earned coverage in major wine magazines/online sites with stories about owners, vineyards, winemakers. Typically, higher quality wine club prices will be in the $40-plus range. Investigate, experiment. 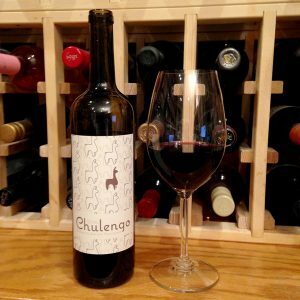 Chulengo Chilean Cabernet Sauvignon 2016 is a commodity Chilean cab from a wine club. It is soft and lacks tannic heft, but it certainly is an easy drinker that wine novices should enjoy. Its fruit-forward, fruity sweetness abetted by oak—but not over-the-top, let’s give this maker its due—mean folks freaked by massive, sophisticated, challenging cabs will find a safe harbor here. Can pair with beef; grilled red meats; short ribs; barbecue beef, chicken; lamb stew; pulled pork, pork chops; flavorful, hard cheeses. That said, this probably is best appreciated sipped without food, consumed with friends who just want to drink some wine and have fun. Or maybe sipped solo to smooth the edges of a rough day. Wine club offering at about $17 a bottle. No website. No photos of the winery.